Some cats are finicky eaters while others will eat everything that’s in front of them! 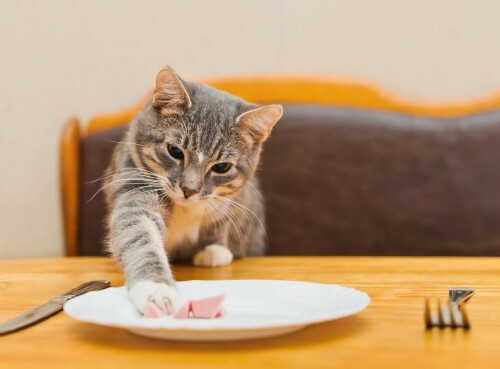 Some of our human food is safe for cats (in small quantities), but there are many food items in your kitchen that can be very dangerous to cats. The below nine food items can be very dangerous to our cats and should be monitored. All members of the onion family contain compounds that can damage cats’ red blood cells. And, cooking does not destroy the toxin. It’s uncommon for cats to eat enough raw onions to do any damage, but be careful with dehydrated onions, garlic, onion powder, and soup mixes. See our article on onion toxicity. Milk and dairy foods contain lactose, which many cats surprisingly have trouble digesting. The result can be diarrhea or an upset stomach. If your cat is lactose intolerant, you’ll see symptoms within twelve hours. Raw egg whites contain an enzyme that destroys certain B vitamins. Raw egg yolks are OK as an occasional treat, but they must be separated from the whites. 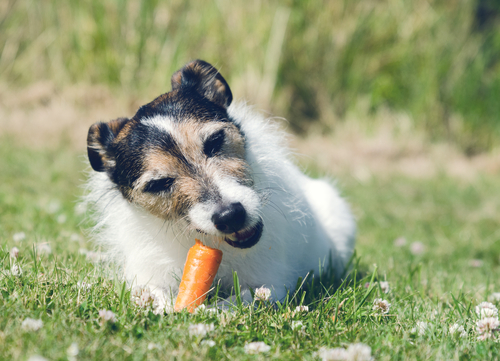 Many candies include xylitol, which is highly toxic to dogs and could also be toxic to cats. Always better to err on the safe side! Raw, uncooked bones are great for our cats’ dental health and many raw-fed cats eat a diet that includes bones every day. But never feed cooked bones to your cat as these may splinter and cause internal damage or become an intestinal obstruction. A small lick or two of coffee, tea or soda won’t contain enough caffeine to cause poisoning in most cats, the ingestion of coffee grounds, tea bags can easily cause death in cats. It can cause hyperactivity, high blood pressure, vomiting, and an elevated heart rate. The warm, moist environment of a cat’s stomach provides an ideal environment for the yeast in raw dough to expand in the stomach. Expansion of the stomach can be severe enough to decrease blood flow to the stomach wall and affect breathing. The yeast metabolizes and can cause serious toxicity in your cat. Cats are far more sensitive to alcohol than we. Even drinking a small amount of a product containing alcohol can cause significant intoxication. Cats are often attracted to mixed drinks that contain milk, cream or ice cream. Intoxication usually causes vomiting, loss of coordination, disorientation and lethargy. The compounds in chocolate that are toxic are caffeine and theobromine. These compounds cause stimulation of the heart and nervous system. The rule of thumb with chocolate is the darker, the more dangerous.” If your cat ingests chocolate, take him or her to your veterinarian immediately. 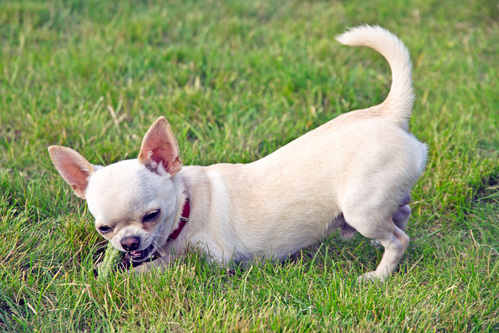 The toxicity of grapes and raisins has mainly been found in dogs. But, there are still many unknowns with the toxic potential of grapes and raisins, therefore do not let your cats eat them. 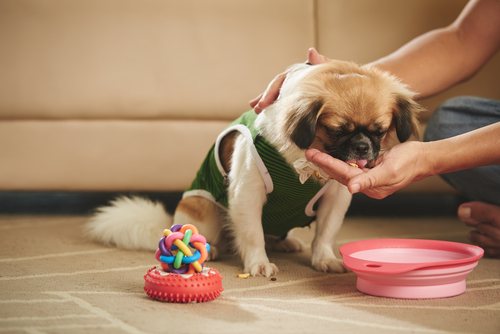 While it’s not a human food, cats should not eat your dog food. It can cause serious stomach problems for your kitty. If you think your cat ate something dangerous or has thrown up more than once, call your veterinarian or take your cat to the nearest hospital immediately.